Q1: Does this FAQ list contain all information that I need to know for writing an application experiment proposal? Q2: When does the call close? 30th September 2018, at 17:00 h (Brussels local time). Q3: How much funding is available for the Application Experiments? Up to approx. EUR 735.000 for seven experiments that are planned to be funded. Q4: Are there limits to the amount of funding per single partner in one experiment? Yes, the maximum must not exceed EUR 60.000. Q5: Can a partner be part of more than one experiment? Yes, but the absolute amount of funding is limited to EUR 100.000, no matter how many experiments one single partner is involved in. If a partner is involved in more than one experiment, we require them to state this explicitly in the proposal. Q6: What is a “3rd party”? Partners in experiments become 3rd parties to the CloudiFacturing project – ‘3rd party’ is a term coined by the European Commission (EC). Q7: What should Application Experiments be all about? optimize manufacturing processes and/or manufacturability of goods. Q8: With what technology these goals shall be achieved? HPC/Cloud-based modelling and simulation technology, i.e. physics-based modelling of phenomenon and their virtual simulation using numerical methods, e.g. for Digital Twins. Visualization and visual analysis of simulation and data analytics results. Q9: Can one partner alone run an Application Experiment? No, we require at least two partners: an end user and a software vendor / value-added reseller, respectively. Those two partners make up the smallest consortium possible. The Application Experiments shall to be driven by the end user; in other words, a manufacturing company, preferably an SME. Q10: Are there any preferences regarding the manufacturing sector? Consortia have the opportunity to propose use cases from any manufacturing sectors to be executed within the framework of the CloudiFacturing project. Q11: When is a company a Small or Medium-sized Enterprise (SME)? However, there is no common EU definition of mid-cap companies. While SMEs are defined as having fewer than 250 employees, mid-caps are broadly said to have between 250 and 3000 employees. In our terminology SMEs comprise mid-caps. We encourage proposals with a high ratio of SMEs and participants from new member states. Q12: Which conditions do you have to fulfil when proposing an Application Experiment? The minimum number of third parties (partners in the experiment consortium) in an Application Experiment is two: one end user and one ISV / VAR. Each Application Experiment shall include at least 2 European or Associated Countries. End users shall be new to the technology being investigated in the experiment. ISVs and / or VARs shall be familiar with simulation, modelling or big data analytics. By cloudifying their software tools and solving the end-user challenges. Companies new to the concept of European Commission (EC) projects are welcome since there is a political will to involve more and more SMEs to accelerate innovation via European funds. Q13: Why should my company participate? leverage the CloudiFacturing Digital Marketplace being developed as a new distribution channel. Q14: What does CloudiFacturing provide to you? A vendor independent Cloud Platform, already containing engineering and simulation applications and services, on which new experiments can be built on. Secured data storage and exchange within the Platform. Visibility: through CloudiFacturing online channels and also by participating at key European events (like Hannover Messe etc.). International network and access to key European players. Exploitation of the implemented service offerings via the CloudiFacturing Digital Marketplace. A tailored access to HPC/Cloud resources (with a contractual environment protecting IPR). Independent evaluation and validation of experiments against identified requirements. Collective experience from more than 30 executed experiments from previous projects. Advice on business models and human factors from existing CloudiFacturing partners (SUPSI and University of Nottingham). 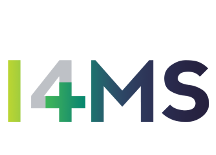 Participation in the I4MS ecosystem (www.i4ms.eu). Co-funding for selected, innovative Application Experiments. Q15: What shall Application Experiments aim at? support from CloudiFacturing Digital Innovation Hubs (DIHs) in preparation phase of proposals. Q16: Why does CloudiFacturing call for Application Experiments? What are the objectives from the CloudiFacturing project point of view? The Open Call seeks to increase the impact of the CloudiFacturing project by involving additional Application Experiments beyond the initial seven that were included at the start of the project, helping end users to approach and possibly solve their challenging use case and populate the CloudiFacturing Digital Marketplace with additional modelling, simulation and data analytics tools. Application Experiments shall be rooted in computational technology for manufacturing and engineering industries, preferably small and medium-sized enterprises (SMEs). Application Experiments shall utilize, leverage and extend the CloudiFacturing platform and infrastructure. Application Experiments shall exploit their results via the CloudiFacturing Digital Marketplace. Priority will be given to innovative use cases with high potential technical and economic impact as described below. Experiments are expected to build on core components of the CloudiFacturing platform (see short technical description of the platform) complementing the on-going experiments with use cases that require near real-time data processing, visual data analytics, solving of demanding simulation problems, workflow support or execution of tool chains in Cloud and/or on HPC resources. Q17: What shall your Application Experiment achieve? In which value chains shall it be rooted/applied? Please note, that just product design or just quality assurance is not enough, a forward-directed or backward-directed link to manufacturing is required, since CloudiFacturing is aiming to link yet disconnected manufacturing stages, while benefitting from exploiting data, synergizing experience for optimization, and creating impact. Priority will be given to innovative use cases with high potential technical and economic impact, addressing workflows of tool chains using Cloud and HPC resources. Q18: What is ‘impact’ in CloudiFacturing Application Experiments? Impact is extremely important in Application Experiments! When you propose an experiment, you have to estimate the impact it will create in terms of technical and economic benefits. Q19: What kind of costs are accountable? The main accountable costs are costs implied by personnel working on/for the Application Experiment. In the proposal each experiment result and intermediate result has to be associated with the amount of person months needed to achieve the result. When the result is accomplished and accepted by the Funding Authority (the EC), the corresponding costs are compensated for taking the EC funding rules into account. For more detail see our Guide for Applicants and Proposal Template. Note, that costs are actual costs, they must not include profit margins. Q20: Which technologies shall bring the innovation within an Application Experiment? • visualization and visual analysis of simulation and data analytics results. These technologies shall be used with the aim of reducing the time to generate insights (based on simulation/optimization and data analytics) and feeding these insights into the manufacturing process for validation. Q21: On which basis / platform shall an experiment be implemented? Application Experiments shall build on the CloudiFacturing Platform and Infrastructure and are expected to complementing the on-going experiments (i.e. application experiments from areas different from the current experiments are encouraged). For a technical description of our platform please see the corresponding document in the download section of the Open Call on our website. Q22: Are certain market segments preferred by the Open Call? SMEs and mid-caps from all manufacturing sectors are welcome to submit a proposal to the Open Call. Please note that large companies cannot act as the only manufacturing end user in an experiment without an SME. However, a large company can apply together with an SME end user for a collaborative use case. Moreover, the proposed experiments must not repeat a use case already addressed in our current experiments, i.e. the production process being simulated / optimised shall be new w.r.t. current experiments, the manufacturability investigation shall be different from any of the current experiments. For a description of the current experiments click here. Q22: Which characteristics shall the Application Experiments exhibit? For a complete list of must-have and nice-to-have features, please see section 3.2 or our GfA. Q23: Where do you find help and support? These DIHs will support you with your questions and ideas and they will help you to prepare a high-quality proposal for experiments that well suit our Open Call and have a high potential impact. Discussing your idea with the DIHs is of key importance. The DIHs will promote the Open Call, initiate discussions, and know the right people at the Competence Centres involved in CloudiFacturing to clarify any remaining questions that they may not be able to answer ad hoc. Q24: Who can become a partner in an Application Experiment? Which kind of enterprises / organisations? For a more exhaustive explanation, please see section 4.1 of our Guide for Applicants. Q25: Which requirements does a consortium have to fulfil? o one ISV or VAR. • Each consortium has to include partners (3rd parties) from at least two European or Associated Countries, i.e. experiments must be cross-border. • Optionally, the experiment consortium can be augmented by consultants, research organizations, DIHs (see section 4.1. Who can become 3rd party) and even additional end users or ISVs / VARs. For a more detailed explanation, please see section 4.2 of our Guide for Applicants. Q26: Which are typical activities performed by the different organisatioins in a consortium? Please see section 4.3 of our Guide for Applicants for an exhaustive answer. Q27: What is an Experiment Leader? What are the obligations of an Experiment Leader? Each experiment partner (3rd party) shall disseminate intermediate and final experiment results. Q28: With which HPC centre or Cloud provider to collaborate? Each proposal has to name the HPC/Cloud provider of their choice. We currently have two HPC/Cloud providers: IT4I and CloudSigma. If a new HPC/Cloud provider is proposed as 3rd party in an Application Experiment, the rationale behind and the complementarity to the existing ones has to be explained. • Peter Gray (CloudSigma: Cloud provider). You best contact them via your DIH instead of contacting them directly. Q29: Will there be technical support in the implementation phase of the experiment? Please also note that the amount of effort that existing CloudiFacturing partners have to support experiments is limited. Thus, the feasibility of the experiments with respect to effort, time and timeline of the overall project is also taken into consideration during the evaluation and experiment selection process. Therefore, we strongly encourage you to get in touch with the DIHs that will either talk with current technical partners or bring you directly in touch with these to talk about the technical feasibility of your experiment idea(s). Q30: Why shall you get in touch with one of our DIHs? What do DIHS do for you? Q31: Does my proposal have to follow a specific form or template? Proposals not using the proposal template for the CloudiFacturing-1 Open Call will not be evaluated. The page limits in the template must not be exceeded. Proposals exceeding the page limits will be cut according to the limits. Independent experts will only assess the text that is within the limits. Therefore, please be concise, address the topics in the template and carefully follow the hints in each section of the template. Q32: Do I have to write another proposal once being selected? The CloudiFacturing Open Call follows a single stage process. However, some clarifications may be required for selected proposal before becoming part of the contract. This may imply adaptations to the proposal text, but not to extent of going from a short proposal (10 pages) to a full proposal (70 pages). Q33: In which language do I have to write my proposal? The proposal as well as all corresponding documentation have to be written in English. Proposals submitted in any other language will not be evaluated. Q34: How to submit the proposal? PDF files must not exceed 5 MB. Q35: By when do I have to submit my proposal? 30th September 2018, 17:00 h (Brussels local time). Provided the call is not yet closed, the consortium can upload the proposal several times, overwriting previous versions. Only the last version received before the closing time will be considered for evaluation. Proposals handed in later or provided by any other means will not be considered. It is strongly recommended not to wait until the last minute to submit the proposal. Failure of the proposal to arrive in time for any reason including communication delays will not be accepted as a valid justification. The time of receipt as recorded by the submission system will be definitive. Q36: Which are the evaluation criteria for a proposal? • Appropriateness of the Consortium. The structure of our proposal template follows exactly the evaluation criteria. Their respective weights are described in our proposal template. Q37: By when will I be informed about acceptance or rejection of my proposal? Beginning of December 2018 proposers will be informed about the outcome of the evaluation process. Q38: With whom will I sign the contract for carrying out the work described in the proposal and necessary to implement and evaluate the experiment? The contract will be signed between Fraunhofer-Gesellschaft zur Förderung der angewandten Forschung e.V., Munich, Germany and the respective experiment partners which become 3rd parties to the CloudiFacturing project by signing the contract. The contract signature is planned to happen in December 2018. Q39: Where can I find the Model Contract to be signed to becoming a 3rd party? Q40: Which kind of activities can be performed in an experiment? • administrative efforts for accounting and reporting. Q41: Which kind of persons can work in an experiment? We do not plan to directly contract persons, 3rd parties are organisations (for-profit and non-for-profit) in our understanding. Q42: How to get a PIC number? and scroll down to "How to participate". There you find an explanatioin how to get a PIC number. If you already have one, please re-use it. Please note, the validation process described there does not apply for this Open Call. Q43: How to calculate the costs that will be reimbursed by the project? Financial support will be based on effort and direct costs figures of the 3rd parties that will be part of the experiment proposals and the contract signed between you and the CloudiFacturing coordinator. For calculating the amount of financial support, we will apply the H2020 rules for for-profit (70% funding) and non-for-profit (100% funding) organisations, respectively. For more details see our Proposal Template chapter 6 and the contained explanations. Q44: Are there other formats besides Microsoft Office available for the Proposal Template? Yes. There are three formats available: PDF, Word and ODT. You can download them or all here. Q45: The smallest Consortium is composed by 2 companies. Is it a strict requirement this 2 companies come from different EU countries or would be accepted experiments with end-user and VAR/ISV coming from the same country? Our guidelines state: Each Consortium has to include partners (3rd parties) from at least two European or Associated Countries, i.e. experiments must be cross-border. If you go with the minimum number of partners (i.e. 2) then these two must come from different countries to fulfill this criteria. Q46: The Guide mentions that is not compulsory to have them in the Consortium, however many of the instructions refer to the DIH's. What is their significance of their roll and are there any recommendations? We already have 5 DIHs in the CloudiFacturing Consortium. We would like to encourage all applicants to contact and collaborate these DIHs when preparing the proposal. However, under some circumstances, a proposal may want to incorporate a new DIH. This is possible if the new DIH comes from a currently not represented region. In this case the new DIH can become part of the proposal. For detailed rules please check our Guide for Applicants. Q47: In case of a large Consortia with 5 partners, is there any ideal composition regarding entity type and location of them? 5 seems to be a large consortium. The role of the partners should be well justified. The consortium have to be cross border, ideally the ISV/VAR and the end-user coming from different countries. Otherwise, as said, each partner must have a well-justified role and it should be made clear how they contribute to the project. Please also note that the overall budget for an experiment is in the range of 100K Euros. Q48: In the guide it says that a research insititute could act as a VAR, and that either a VAR or ISV is mandatory in the conhttp://ec.europa.eu/research/participants/docs/h2020-funding-guide/cross-cutting-issues/international-cooperation_en.htmsortium. If the research institute acts as the VAR, do we still need another VAR or ISV in the consortium? If the research institute acts as VAR then there is no need for additional VAR/ISV. However, you will still need at least an end-user that must be a manufacturing SME/midcap. Q49: Where could I find the list of the countries currently in the Consortium? Q50: Could it be possible someone from outside the European Comission to apply for the Open Call? - Overseas Countries and Territories (OCT) linked to the Member States: Anguilla, Aruba, Bermuda, British Antarctic Territory, British Indian Ocean Territory, British Virgin Islands, Cayman Islands, Falkland Islands, French Polynesia, French Southern and Antarctic Territories, Greenland, Montserrat, Netherlands Antilles (Bonaire, Curaçao, Saba, Sint Eustatius, Sint Maarten), New Caledonia and Dependencies, Pitcairn, Saint Barthélemy, Saint Helena, Saint Pierre and Miquelon, South Georgia and the South Sandwich Islands,Turks and Caicos Islands, Wallis and Futuna Islands. - Associated Countries (AC) of the European Union (EU): Albania, Armenia, Bosnia & Herzegovina, Faroe Islands, Georgia, Iceland, Israel, Moldova, Montenegro, Norway, Serbia, Switzerland, The former Yugoslav Republic of Macedonia, Tunisia, Turkey, Ukraine. - The following countries: Afghanistan, Algeria, American Samoa, Angola, Argentina, Azerbaijan, Bangladesh, Belarus, Belize, Benin, Bhutan, Bolivia, Botswana, Burkina Faso, Burundi, Cambodia, Cameroon, Cape Verde, Central African Republic, Chad, Chile, Colombia, Comoros, Congo (Democratic People’s Republic), Congo (Republic), Costa Rica, Côte d’Ivoire, Cuba, Djibouti, Democratic People's Republic of Korea ,Dominica, Dominican Republic, Ecuador, Egypt, El Salvador, Eritrea, Ethiopia, Fiji, Gabon, Gambia,, Ghana, Grenada, Guatemala, Guinea, Guinea-Buissau, Guyana, Haiti, Honduras, Indonesia, Iran, Iraq, Jamaica, Jordan, Kazakhstan, Kenya, Kiribati, Kosovo*, Kyrgyz Republic, Lao, Lebanon, Lesotho, Liberia, Libya, Madagascar, Malawi, Malaysia, Maldives, Mali, Marshall Islands, Mauritania, Mauritius, Micronesia, Mongolia, Morocco, Mozambique, Myanmar, Namibia, Nepal, Nicaragua, Niger, Nigeria, Pakistan, Palau, Palestine**, Panama, Papua New Guinea, Paraguay, Peru, Philippines, Rwanda, Samoa, Sao Tome and Principe, Senegal, Seychelles, Sierra Leone, Solomon Islands, Somalia, South Africa, South Sudan, Sri Lanka, St. Kitts and Nevis, St. Lucia, St. Vincent and the Grenadines, Sudan, Suriname, Swaziland, Syrian Arab Republic, Tajikistan, Tanzania, Thailand, Timor-Leste, Togo, Tonga, Turkmenistan, Tuvalu, Uganda, Uruguay, Uzbekistan, Vanuatu, Venezuela, Vietnam, Yemen, Zambia, Zimbabwe. Q51: Does the SME has to be a Manufacturer or can it be a creative/design agency developing solutions for manufacturers? The end user must be a manufacturer. If the manufacturing company is not in the consortium, then the proposal will be ineligible. However, additionally you can also include a creative/design agency developing solutions for the manufacturers as additional partner. In this case their role has to be very clearly justified and it needs to be explained why you need this specific partner and what their role will be. Q52: Which are the benefits of participating in an open call like Cloudifacturing for an end-user? In previous projects end-users benefited in various ways. First, they had a problem and they got a solution without the risk of major financial investment. The solution is developed for the benefit of the end-user and in most cases they hugely benefit from this. Second, they become part of a larger consortium that can lead to further opportunities, e.g. further funding or collaboration. Q53: In case we can justify the need and split the tasks on three entities in our consortium, could we form such a consortium with (end user + VAR + DIH), where country(end user)=country(VAR) but they are different from country(DIH)? If the end-user and the VAR are from the same country but the DIH is from a different country then technically the proposal is eligible. However, please note that ideally we want cross-border experiments where the end-user and the ISV/VAR are coming from different countries. Therefore, such consortia are likely to be ranked higher as this will be one of the evaluation criteria. Also in case of equal scores, "truly" cross-border experiments will be favored. Q54: Do we need to cooperate with a local DIH to respond to the call? You need to get in touch with one of the CFG DIHs. The list of these DIHs is on our website at https://www.cloudifacturing.eu/open-call-application-system/. Please note that you need to assemble an international consortium as being cross-border is a requirement. The DIHs may also be able to help you in this. Q55: What funding levels are available? We are expecting small consortia of about 2-3 partners. The overall maximum funding for one proposal is expected in the range of 100K Euros. A single partner can get no more than 60K Euros. As we have approximately 700K to spend on 7 experiments, 100K per experiment is a fair estimate. However, please keep in mind that economic feasibility is one of the selection criteria. Q56: The DIH´s should be in partnership or in another way of collaboration? If you team up with one of the CloudiFacturing DIHs then they do not have to be budgeted into your proposal. They will support you throughout but they will gwet funding from the core project funds and not from your experiment budget. If your consortium includes an additional DIH (not currently in CFG) then the costs for this DIH should be included in the proposal budget. Please note that this additional DIH should come from a different region when compared to the current CFG DIHs, and you have to clearly justify their participation. Q57: Since applications have to be cross-border, can two partners be from the same country and third partners from another one, or are you giving priority to applications with wider geographical coverage? Yes, you can have two partners from the same country if the third one is from across the border. Based on the feedback we received so far, most of the potential applicants find the cross border criteria one of the hardest. We would prefer is the ISV and the end-user could come from different countries. Q58: I'm interested to know what is the support offered to application experiments, besides the funding, any support for the commercialisation or business development, or to apply the technology in a specific sector? Which are the steps that are followed once the experiments are selected? Regarding support after the selection: We will support the experiments throughout the process. We provide support for collecting and analyzing both technical and also business requirements. These are done by two specialist Competence Centres in CFG. We also support the technical development of the experiment via our technically oriented Competence Centres. Finally, once the experiment is finished and fully implemented, our start-ups are happy to support you in the wider commercialisation via our Digital Marketplace. Q59: Related to the characteristics of experiment, it describes the complexity of model to handle. How we can mesure the need of HPC over cloud services vs. local edge computing? By amount of realtime data? Complex analítics? If we would like for instance to simulate digitally a product from engineering to deployment in terms of setup, performance, quality, can be that a target of CloudFacturing? We expect that your problem/application will be either compute and/or data intensive. Therefore, we suppose that supporting such application locally is not economically viable, especially not for an SME. The CFG platform can provide you better economic feasibility by cutting out large investment cost and requiring only regular operational costs. This way you can operate your solution on a pay-as-you-go basis. The example you describe sounds a good representative example. Please note that we prefer applications that refer to the whole manufacturing process and not only to the product design phase and aim to optimise this complex process. Q60: Which manufacturing sectors are prioritized in the open call? Q61: The guide for applicants says that consortium must consist of "multidisciplinary partners, e.g. end users from the manufacturing sector, Independent Software Vendors (ISVs), engineering or software consultants, aka Value-Added Reseller (VARs), research organizations, High-Performance Computing (HPC) providers, Digital Innovation Hubs”. Which is the best combination? It is hard to tell what the best combination is. It depends on the individual proposal. What we can definitely say that as a minimum eligibility criteria each consortium must include one manufacturing end-user and an ISV. All other partners are optional and depend on the requirements of the experiment. For example, if the experiment requires specific engineering expertise then an engineering consultant may also be required. If the commercialization depends on connections to a specific region in Europe then you may want involve a DIH from that region. Q62: By end user we understand SME or large company+SME. Any other possibility regarding end user? End-user by definition is a manufacturing company that benefits from the final solution. We prefer SMEs/midcaps for this role. If a large company is involved then their role needs to be clearly justified and they cannot be the sole end-users in this case. We have not considered subcontracting and I do not think that this a good idea. All experiment partners will be third parties contracted to the coordinating entity of CloudiFacturing. and they will not become partners in the project. This way I do not think that further subcontracting is encouraged as that would just further complicate the arrangements. We suggest that all parties in the consortia contract to our coordinator directly as third parties. Q64: Do you offer support to applicants during the open call? Yes, definitely. Our DIHs are happy to work with the proposal partners and support them in the preparation process. You can find their contact details here: https://www.cloudifacturing.eu/open-call-application-system/. I suggest you get in touch with one of our DIHs as soon as possible, if you have not done so already. Q65: Could you explain the conditions of contract and disclosure of experiment and results over the platform? Is this including the HPC/cloud provider? You can find a model contract on the CloudiFacturing website. This is the contract we expect all experiment partners to sign with our coordinator. This contract is primarily for the implementation of the experiment. For the long term commercial operation, these will be terms and conditions exposed by the CloudFacturing Digital Marketplace. As this is currently being set up, we cannot provide all the details. However, I anticipate that experiment partners will be directly involved in these discussions as those partners are the first users of our solution and the best candidates to discuss conditions with and to obtain feedback from. Q66: In the case that the project targets SMEs in general, not just one in particular in order to form the consortium with it, how can this be arranged? We want to encourage high SME/midcap participation in all consortia. You can still include academic partners, research institutes or large companies, but the majority of partners should be SMEs or midcaps. This is what the European Commission expects in all I4MS projects.